December 22, 2012  The surviving students of the shootings in Newtown, Conn., won't be returning to their old school. From the wall paint to the desks, a soon-to-be reopened school in Monroe is meant to feel familiar for Sandy Hook kids. December 19, 2012  First responders are trained to rescue, help and save. 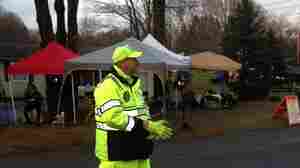 In Newtown, Conn., many of the police officers, firefighters and EMTs who rushed to Sandy Hook Elementary School last week are struggling to cope with the fact that there was little they could do to help. December 12, 2012  A federal appeals court has thrown out Illinois' ban on carrying concealed weapons. Now, political leaders — particular those in Chicago — are trying to figure out what comes next. Audie Cornish talks to David Schaper. 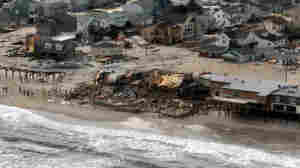 December 12, 2012  Federal taxpayers will pay the lion's share of the restoration for the Jersey shore damage caused by Sandy. But since most of those who will benefit are private landowners on the shore, one N.J. lawmaker wants to prohibit the shore towns from charging access fees to their public beaches. 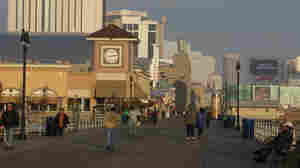 December 6, 2012  A month after Hurricane Sandy pounded the New Jersey Shore, Atlantic City is back in business. Even though most of the casinos, restaurants and the famous boardwalk sustained very little damage in the storm, they're now suffering from a lack of visitors. November 22, 2012  Just 15 days after voters re-elected him, Jesse Jackson Jr. said health problems were keeping him from doing his job. He also acknowledged he is under federal investigation. Illinois Gov. Pat Quinn has to set a date for a special election by Monday, and the vote must be held within 115 days. 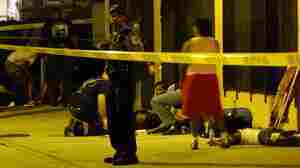 November 13, 2012  As the number of shootings goes up, police are making fewer and fewer arrests for those violent crimes, leaving a staggering number of cases unsolved. Police blame a long-standing attitude for the failure to make arrests: you just don't snitch to police. November 11, 2012  Congresswoman Tammy Baldwin is the first openly gay candidate to be elected to the U.S. Senate. But advocates say the fact her sexual orientation wasn't part of the campaign is the real signal of change. November 7, 2012  Wisconsin voters chose the Obama ticket over their own native son Paul Ryan. And the state is sending the first openly gay senator to Washington: Tammy Baldwin defeated former Governor Tommy Thompson for the seat of retiring Senator Herb Kohl. October 31, 2012  The National Hockey League has now canceled all games through the end of November, as team owners lock out players in a labor dispute. In the meantime, there are many businesses and workers who count on hockey games to help make ends meet. But they are now trying to make due without. October 17, 2012  A group in Wisconsin is trying to heal that state's bitter partisan divide by holding monthly meetings and forums to discuss political issues with in a friendly and more civil way. But could they remain civil while watching Tuesday night's presidential debate? 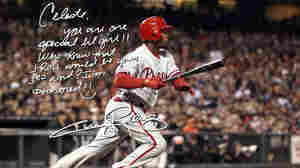 October 8, 2012  Traditional baseball autographs are getting an upgrade thanks to a new startup. For around $50, fans can get an autographed digital picture, a handwritten note and a personalized audio message from major leaguers. The company has signed up about 130 players so far. September 28, 2012  The seat that Republican former Gov. Tommy Thompson and Democratic Rep. Tammy Baldwin are vying for is one of many that Democrats are defending in November. Early polls showed Thompson might easily flip the seat for the GOP, but he's now trailing.